At Unitek EMT, we have a number of continuing education courses for EMS workers. 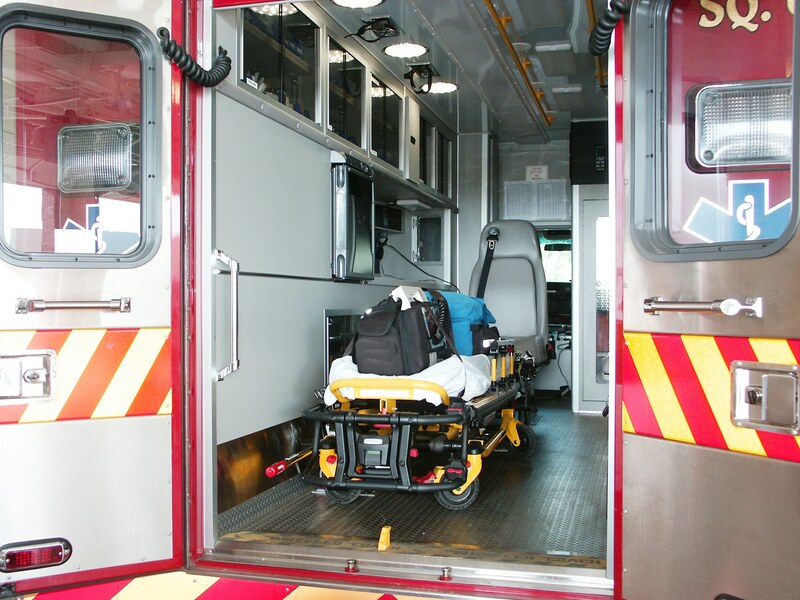 Emergency Medical Services (EMS) is a vital field that provides the public with first response treatment. Some EMS professionals take mandatory refresher courses, while others seek out continuing education to enhance their skillset. Today, allow us to take you on a brief tour of our supplemental courses! Taught by seasoned EMS professionals, our Refresher Course meets industry standards and provides participants with the necessary 24 hours of continuing education. It also gives participants the chance to complete a skills verification form for EMT state recertification. + Certification: Provides 24 hours of continuing education credit and opportunity to complete skills verification for EMT state recertification. Next up is the Basic Life Support (BLS) Continuing Education Course. This particular course is intended for healthcare personnel who must learn how to perform cardiopulmonary resuscitation (CPR) and other cardiovascular life support skills. Without a doubt, this knowledge may one day help save a life! According to the American Heart Association, there are 350,000 out-of-hospital cardiac arrests every year in the United States. Only about 46% of people who experience this type of event get the help they need before EMS personnel arrive. The BLS Course at Unitek EMT strives to combat these statistics by training participants to quickly recognize various emergencies, perform quality chest compressions, deliver appropriate ventilations, and provide early use of an automated external defibrillator (AED). + Duration: Approximately 4 hours, including skills practice and skills testing. + Instructors: All Instructors are current AHA BLS Certified Instructors. + Certification: AHA BLS Course Completion Card is valid for two years. Our third and final course is not for the faint of heart. In other words, the Advanced Cardiac Life Support (ACLS) Continuing Education Course is true to its name. Healthcare professionals who are looking for an innovative ACLS class might want to consider Unitek EMT. We equip participants with the skills to function as a team to increase chances of survivability in various cases. These include cardiac arrest, acute coronary syndrome (ACS), and stroke events. + Instructors: All instructors are current ACLS American Heart Association instructors. + Certification: ACLS course completion card is valid for two years. At Unitek EMT, we strive to prepare aspiring Emergency Medical Technicians by providing them with EMT training and an accelerated EMT program. Experts in the EMS field educate our students through a combination of traditional learning, simulation training, and workshop-style classes. Additionally, we offer a program with several variations to better accommodate our students. These include a 14-Day Boot Camp1 at our Fremont Campus in Northern California, and a modified version of the Boot Camp at our facility in Chandler, Arizona. If you’d like more information, please contact us toll free at 888-790-1458. 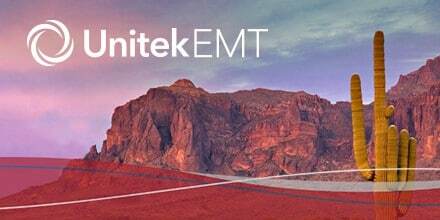 Unitek EMT seeks to provide Arizona residents with an alternative route for their EMT educational needs. Through a combination of expert lectures, hands-on exercises, and clinical simulations, aspiring Emergency Medical Technicians can gain the knowledge and skills they’ll need at our Arizona facility! In general, there are numerous places in Chandler that can provide you with family fun, cultural experiences, and beautiful outdoor views. Whether you’re planning to visit the area or you’d like some ideas while on a break from EMT training, the city of Chandler has quite a few options for all kinds of interests! Not only is it free to enter, but the museum provides visitors with the opportunity to learn more about Chandler’s culture, people, and history. + San Tan Mountain Regional Park: This regional park is actually located just outside of Chandler, in the town of Queen Creek, Arizona. However, it’s only a 45-minute drive from Unitek’s Chandler facility! If you love the great outdoors, then the San Tan Mountain Regional Park might be the perfect destination for you. There are various trails for beginner or advanced hikers, and the park’s website maintains a list of upcoming events. + Wild Horse Pass Motorsports Park: According to The Crazy Tourist, “if you’re looking to have a fun time watching road racing in a quarter mile dragstrip, this motorsports park will tick all the boxes!” A multi-track facility, Wild Horse Pass Motorsports Park features a quarter-mile strip, an off-road track, and much more. + Jumpstreet Trampolines: Looking for some family fun during your visit to Chandler? Jumpstreet is an indoor trampoline park that functions as an entertaining center for kids of all ages. The Crazy Tourist noted the following about it: “When you want a jump break, you can enjoy a game of dodge ball or two. There is also a separate area for the younger kids to bounce around.” Without a doubt, Jumpstreet is a great place for the family to work off some energy! + Burst Of Butterflies Pottery Painting & Art Studio: At this particular studio, you and your family can partake in a day of fun creativity. Located in historic downtown Chandler, Burst of Butterflies offers a multitude of activities, such as canvas painting, pottery painting, and glass painting. Various classes and events are also offered, including a class that teaches the art of glass fusing! + Mesquite Groves Aquatic Center: More family fun can be had at this fantastic center. According to The Crazy Tourist, there is a competition lap pool, two water slides, a lazy river, a “752 gallon ‘Big Blue Bucket,’ toddler slides, and a family play pool with zero-depth entry.” The center also provides guests with a family dressing room and plenty of artificial grass for those who would rather sunbathe. + ImprovMANIA: Every Friday and Saturday night, you’ll find two comedy shows at ImprovMANIA. The first show starts at 7:00 pm and is family friendly, whereas the 9:00 pm show is for more mature audiences. Each show lasts for about an hour, and the comedians will often use audience participation. If you need a laugh and you like fast-paced comedy, we recommend that you check out ImprovMANIA! For the past 12 years, Unitek has provided aspiring EMTs with the training they need to succeed. Our boot camp* and state-of-the-art courses equip graduates with the current theory and technique for first-response treatment of patients. 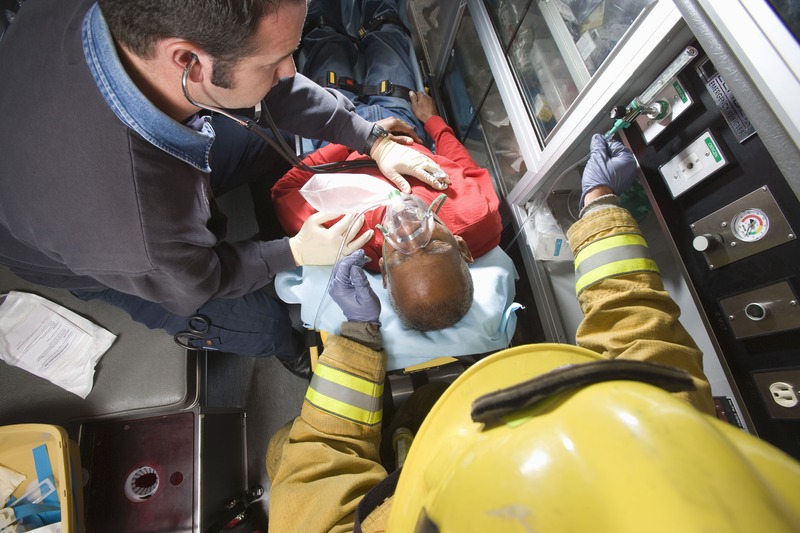 Taught by seasoned EMS professionals, the classes at Unitek EMT include realistic simulations, hands-on training, and one-on-one instruction to ensure students master the skills they’ll need to save lives. For more information about the Arizona EMT program, please visit our website and explore all that we have to offer: https://www.unitekemt.com/emt-programs/boot-camp/arizona. * Our 14-Day EMT Program in AZ is taught in an intensive “boot camp” style, to simulate the fast pace of work expected on the job as an EMT. Unitek EMT is thrilled to welcome Marcus Bond and Jessica Gonzalez as the new directors of their EMT program. Recently, the program has embarked on a transformative expansion to Chandler, Arizona. Based in Northern California, Unitek also seeks to provide Arizona residents with an exceptional alternative for their EMT training needs. During this trailblazing expansion, two roles emerged that needed to be filled by top-notch, quality professionals. Unitek is excited to announce that Marcus Bond will become the Program Director for Unitek EMT in California, and Jessica Gonzalez will become the Program Director for Unitek EMT in Arizona. Aspiring emergency medical technicians will now have the opportunity to learn from these seasoned EMS experts. Marcus, a San Jose native, currently lives in Lake County with his wife and four-year-old child. Previously, he has held positions with the Sonoma County Volunteer Fire Department. 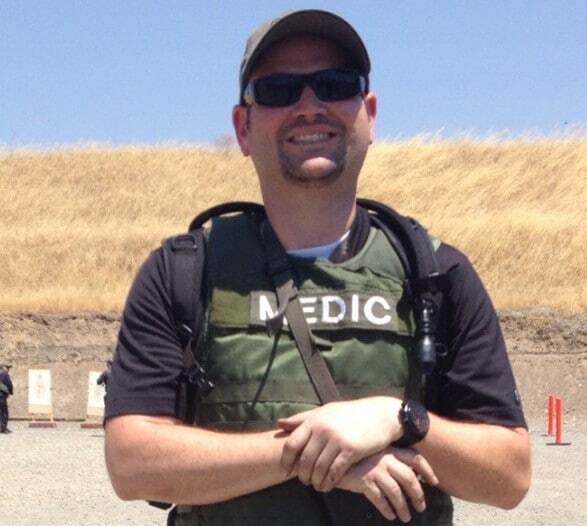 He has also worked as an EMT at Six Flags Discovery Kingdom, and as a paramedic at Kelseyville Fire Protection District. 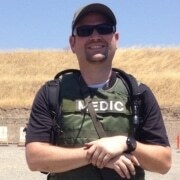 Most recently, Marcus has worked as a paramedic field training officer. In this role, he implemented an efficient training regimen for new policies and techniques. Additionally, he has led ambulance strike teams during local disasters. In 2018, Marcus joined Unitek EMT to assist with their expansion and fill the critical role of program director. Jessica, an Arizona native, is a married mother of five. She obtained her EMT certification at Central Arizona College in 2006. Her 12-year EMS career includes providing care on a rural area 911 ambulance and through a Level-1 pediatric trauma center. Jessica has also developed CPR and First Aid training programs in rural communities around the state of Arizona. In 2013, she obtained her EMT instructor certification and began a fulfilling career in EMS education. Earlier this year, Jessica joined Unitek EMT during their expansion to Arizona. Not only has she helped establish the new program, but she will assume the pivotal role of program director. For the past 12 years, Unitek EMT has provided aspiring emergency medical technicians with the training they needed to succeed. State-of-the-art courses and boot camps equip graduates with the latest theory and technique for first-response treatment of patients. Taught by seasoned EMS professionals, the classes at Unitek EMT include real-world implementations, hands-on training, and one-on-one instruction to ensure students master the skills they’ll need to save lives. If you’ve been searching for EMT schools in Arizona, we have some great news for you—Unitek EMT has expanded to the city of Chandler! 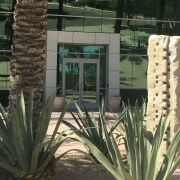 Located southeast of Phoenix, Arizona, Chandler is a city dotted with numerous parks, museums, hotels, and restaurants. With varied settings amid gorgeous desert sunsets, Chandler offers a range of attractions to residents and visitors alike. 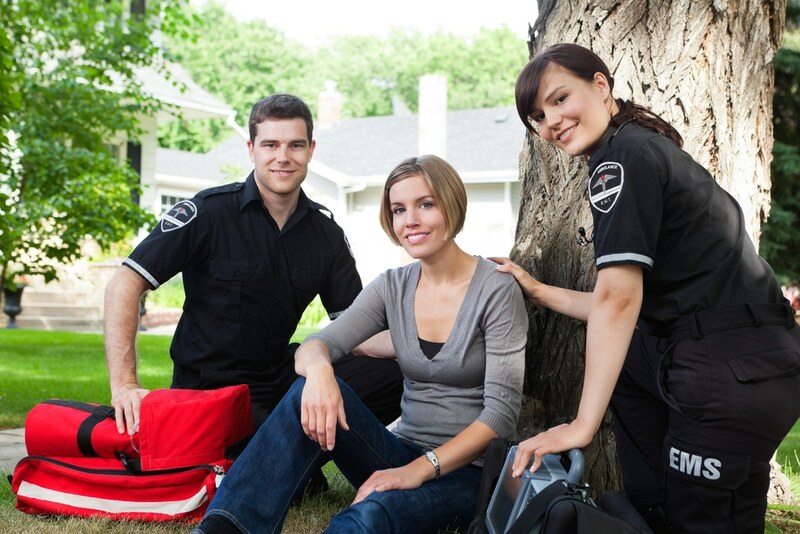 We seek to provide Arizona residents with an alternative route for their EMT educational needs. Aspiring emergency medical technicians will now have the opportunity to attend Unitek’s Chandler facility and enroll in our accelerated EMT program. 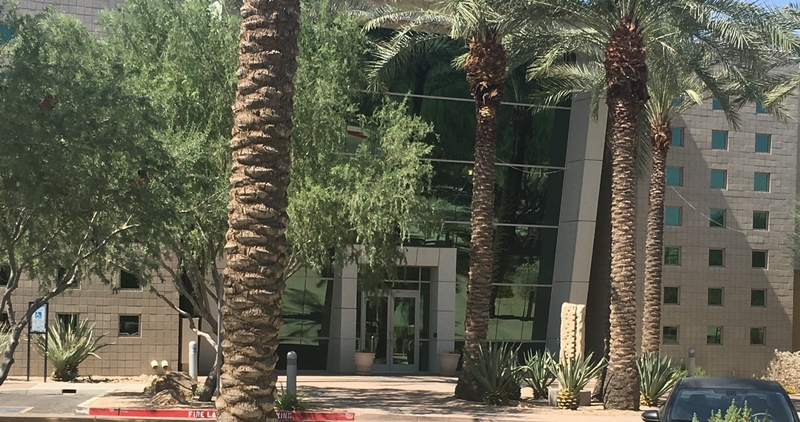 Today, we’d like to tell you a little more about our Arizona location as well as the city of Chandler. Go on a quick virtual tour with us! Picture a flat, open area filled with stately office buildings. The natural beauty of the desert shines through the pink-beige hues of the buildings and the windows that cast a teal glow in direct sunlight. 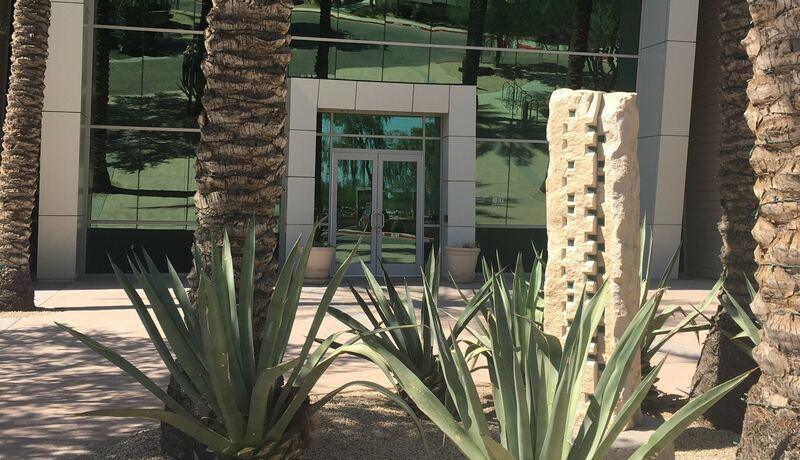 A sea of cacti and native rocks compliment the large, sprawling space, and slender palm trees add dimension to the landscape. Through a set of glass doors at 585 North Juniper Drive, you’ll find glimmering marble floors and other stylistic touches. Once you locate our suite within the building, you’ll be buzzed inside and greeted by a member of our friendly staff. In time, you’ll see various posters bearing Unitek’s name. You’ll also come across a lavish kitchen with a fridge and a vending machine. This open space not only acts as a lounge for students, but it’s also how we provide complimentary lunches and dinners. Within our EMT classroom, you’ll find desks, a projector, and a partition in the middle of the room. Gurneys and stocked EMS bags lie on the other side of the partition. Additionally, in a room behind this classroom, students utilize three skills laboratories: the medical lab, the trauma lab, and the equipment lab. The medical and trauma areas allow students to engage in simulation training while the third area houses larger medical equipment. Each class is split into three squads, allowing them to rotate and partake in these activities at different times. At Unitek EMT, we’re firm believers in workshop-style classes. It should be noted that a fabulous hotel is located within a mile of our Chandler facility. Students can rent a room at the Staybridge Suites while they attend our 140-hour program. At Staybridge Suites, some rooms provide guests with a private kitchen, a living room, and a large bath tub. Hotel highlights include a complimentary breakfast buffet and an on-site fitness center! Chandler has a wonderful downtown area that’s only a 10-minute drive from Unitek. It features various restaurants and shopping destinations. In fact, there are numerous places in Chandler that can provide you with family fun, art and cultural experiences, and gorgeous outdoor views. + Koli Equestrian Center: The Crazy Tourist called this center the “perfect excursion for everyone from beginners to seasoned riders.” Horseback riding fans will find miles of picturesque scenery and several riding trails to satisfy their desire for the great outdoors. + Rawhide Western Town and Steakhouse: If you dig the Wild West, you and your family might want to visit this replica frontier town. It encompasses more than 160 acres of beautiful Sonoran Desert and includes a shooting gallery, a steakhouse, and other western activities. + Desert Breeze Park: This park provides some great opportunities for family fun! Kids might love a train ride around the park, a lake stocked with fish, or a sea of ducks. There’s also a splash pad and shaded picnic areas, not to mention several baseball fields, tennis courts, and bike trails. 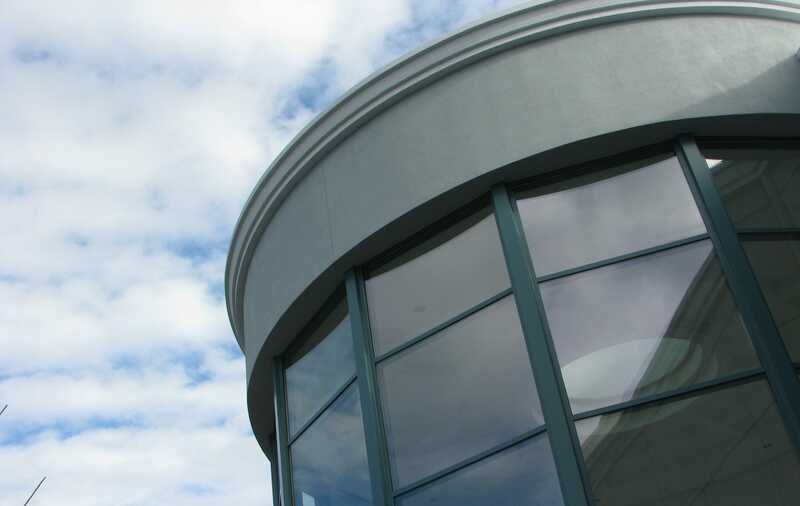 + Chandler Center for the Arts: The center is known for a variety of performances, such as plays, ballet features, comedy shows, and much more. According to The Crazy Tourist, this venue provides fantastic acoustics and great seating for its guests. 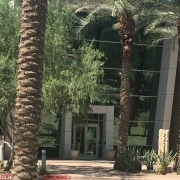 + Chandler Fashion Center: One of the largest malls in the Phoenix metropolitan area, the Chandler Fashion Center hosts a variety of shops, restaurants, and beauty salons. With its tile floor and cool temperatures, the center can be a welcome break from the Arizona heat. + Sweeties Candy of Arizona: Take a nostalgic trip down candy lane at Sweeties Candy of Arizona. Not only will you find aisles filled to the brim with nostalgic candies, but you’ll also find up-to-date treats as well as the delicious classics. For more information about the Arizona EMT program, please visit our website and explore all we have to offer: https://www.unitekemt.com/emt-programs/boot-camp/arizona. At Unitek EMT, we strive to prepare our students for a career in emergency medical services (EMS). Veteran EMS professionals impart critical knowledge and skills through a combination of expert lectures, simulation training, and workshop-style classes. To gain as much experience as possible, students will also partake in a clinical rotation. These either take place with local ambulance providers or in emergency-room settings. We believe these real-world experiences greatly benefit our students and influence their success. 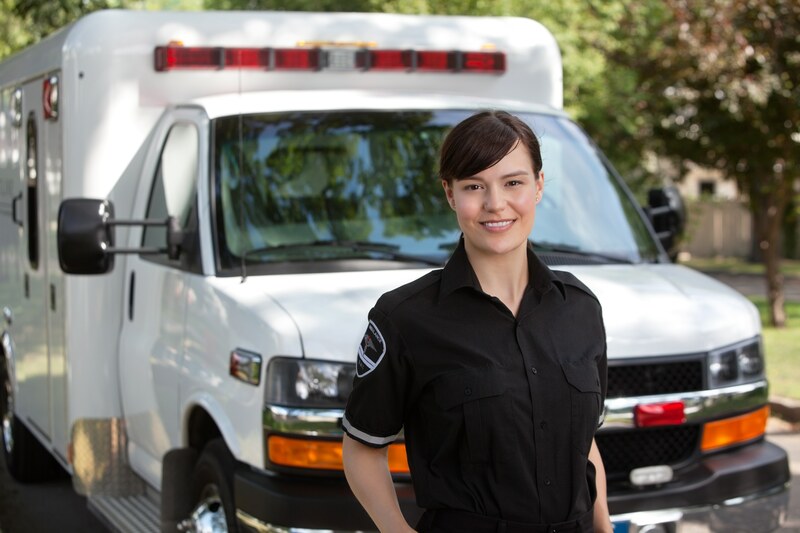 If you’ve been searching for Emergency Medical Technician training, we offer an EMT program with two different formats to better accommodate our students: the 14-Day Boot Camp* and the Expanded Online Hybrid. 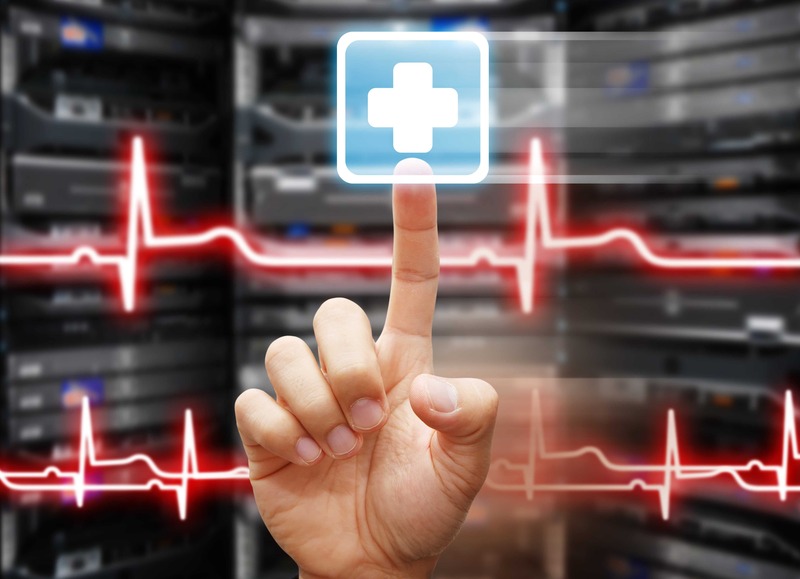 There is also an online component within the EMT program. This online portion covers about 50+ hours of didactic EMT coursework, with 24 of those hours being incident management related course material. It’s important to note that this online component must be completed prior to graduation. 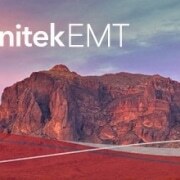 For those who have limited schedules or prefer to learn at their own pace, Unitek offers another version of the EMT program: the Expanded Online Hybrid. If you’ve been searching for online EMT training, this efficient alternative will provide you with online coursework and skills instruction. This version of the program is intended for students with prior medical training and/or experience. All applicants must interview with the EMT Program Director to receive approval to enroll in the Expanded Online Hybrid. The online coursework features material from the latest version of our textbook. It consists of audio reviews, knowledge checks, homework, online discussions, and self-paced presentations. Toward the end of the program, students must report to Fremont, California for 4 days of intensive training. This is because they need to demonstrate and achieve proficiency in various EMT skills. After this 4-day period, students will then partake in a 3-day clinical rotation before they complete the Psychomotor Examination. 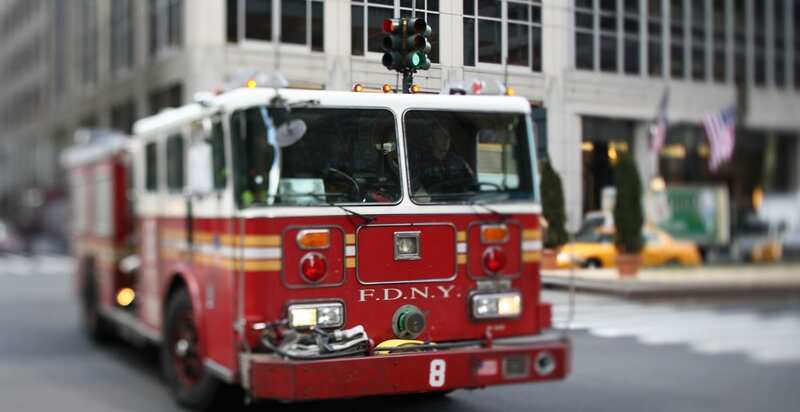 Established by EMS experts, this Expanded Online Hybrid supplies students with the latest theory and technique for first responders. The ultimate goal of Unitek EMT is to prepare students for the National Registry exam (NREMT) and ensure their future success as Emergency Medical Technicians. *The EMT Boot Camp is the portion of the EMT program that includes intensive on-campus education, daily lectures, and hands-on skills. This version of the EMT program also includes a 50+ hour online portion that must be completed prior to graduation. More often than not, an emphasis is placed on programs, students, and benefits. These are all equally important facets to consider when looking at a school. At Unitek EMT, we would also like to take a closer look at our faculty. 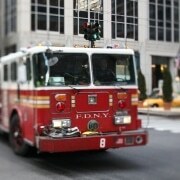 Not only are they instrumental to our success, but they play a vital role in shaping future EMTs and the field of EMS. We recently spoke with Chris Seymour, the inspirational Program Director at Unitek EMT. He tirelessly works to educate and uplift the EMTs of tomorrow. Read on with us, and learn a little more about the man behind the program! Q: Can you tell us a little about yourself and what you do at Unitek EMT? A: I am the Program Director and Clinical Coordinator for the Unitek EMT program. I oversee all aspects of the program, including quizzes, lecture format, skills, and the syllabus. Additionally, I am also the lead instructor for the program and deliver many of the lectures. Q: What is your day-to-day life like at Unitek EMT? A: Busy, but so much fun! I usually get to work at 6:30 a.m. to setup and organize the classroom for the day’s activities. Lecture begins promptly at 8:00 a.m., where I focus the first portion of the day on a review for the previous day’s studies. I always try to make sure that students can not only apply the concepts they’ve learned but also retain the information. After that, we engage students in a variety of activities, such as group work, presentations, workshops, study groups, and lectures. We break these sessions up as often as we can to keep the students motivated and engaged in participant learning. Throughout the program, we utilize a lecture and skills format so students can practice what we have just lectured on. As a teacher, I like to cater to all learning styles—I want my students to read it, hear it, and then demonstrate practical applications of what they’ve learned. At 8:00 p.m. in the evening, it’s time to call it a day. Q: How long have you been with the company? What made you choose Unitek? A: I was hired as the Program Director about a year ago. Unitek is very unique, and its accelerated programs are completely immersive. I want my students to learn to serve their community, gain a valuable life skill, and become leaders in the Emergency Medical Services industry. I believe our program gives them all of these things. By having an accelerated program, I get the unique opportunity to teach hundreds of students per year. The unique nature of our program allows students to come to class, get an amazing educational experience, and then pursue a career as an EMT. Q: Has your role changed since you’ve been here? A: My role hasn’t changed. I still love to teach, but I am actively searching for ways to expand our program and explore other avenues. EMT is a science-based field, and since science and technology are ever-changing, our program must also continuously evolve. We have a lot of exciting new ideas on the horizon, and as Program Director, I can’t wait to move them from the theoretical to the real world. Q: What did you do before this? A: I have been a Paramedic for almost twenty years. I’ve worked all over, doing everything from working for the County Public Health Department, supervising a 911 system, arranging high-profile events for VIP clientele, serving as an Executive Protection Specialist, and working as a 911 medic. Most recently, I was the Vice President of one of the largest-growing ambulance companies in California. Because of our explosive success, we explored new and creative ways to reinvent the ambulance business. My idea was to build a school, and as I founded a post-secondary school of education, I realized someone would have to teach. So, I took it upon myself to become a National EMS Educator and began teaching part time. I soon found that this was my true passion. I enjoyed teaching so much that I decided to leave the ambulance business and pursue teaching full time. Unitek is a great place, it allows me to teach almost every day, it challenges me in fun and unique ways, and the staff that I work with is amazing. Q: To date, what professional achievement are you most proud of? A: I am proud to have achieved my Master’s Degree. I would have never been able to receive a college education if it wasn’t for EMS. My family didn’t have a lot of money to send me to college, so I paid my own way while working full time as a Paramedic. Having a career in EMS has afforded me so many unique opportunities. It has been good to me, which is why I’d like to pay it forward. A: Sleep…just kidding! My duties at Unitek keep me very busy, as I typically teach six days a week. However, when I’m not a Unitek, I like to do a variety of things. My absolute favorite thing is being a husband and a father. Q: If you had to pick just one thing, what would you say is your favorite part about working at Unitek EMT? A: It’s hard for me to choose a favorite part about working here. My coworkers are amazing, the facilities and equipment are great. If I had to choose just one thing, I would pick my students. I love seeing the “lightbulb” come on and watching the students master new concepts. Though we start with a room full of strangers, our students quickly become friends, colleagues, and teammates. My favorite part of the day, is when I check my email and read a message from a recent graduate, who tells me they have passed the National Registry, or they just got hired as an EMT, and they are thankful for what they learned in our program. I’m very proud of all my students, and I feel honored to have helped them in their pursuits. Q: Where do you see this company in the next few years? What gets you most excited about the company’s future? A: We have a lot of new plans for the program. 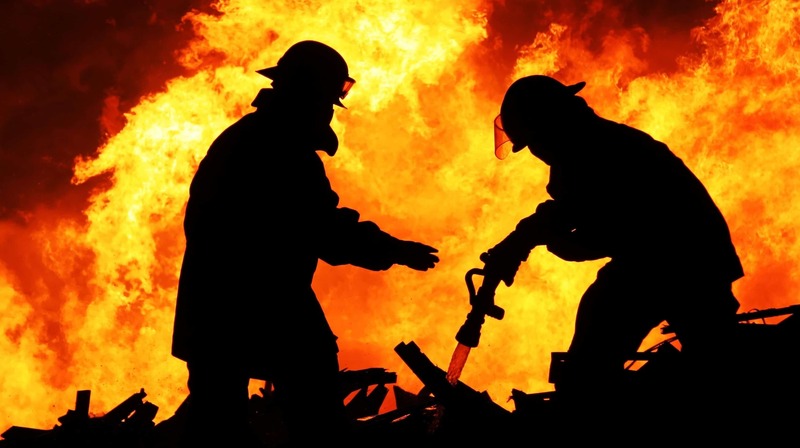 I’ve been in EMS my entire adult life; I see the challenges on the horizon, and I am familiar with what our industry needs in order to overcome the unique challenges that will arise. I expect our program to grow and meet these challenges, which will fill the needs of those who seek to improve the wellbeing of others through their actions. What gets me excited about the future are the seemingly endless possibilities. As for where we go next…well, you’ll just have to see. Q: If there was one thing you could tell people about the EMT program, what would that be? A: There are EMT schools everywhere. I know them—I have helped build some of them—and I know the professors that teach at them. While they are all good schools, Unitek’s EMT program is unlike anything you have seen before. Our lessons transcend the classroom; we bridge the gap between theory and application seamlessly. Our program focuses on science, how you apply your knowledge of science, and how to use what you have learned to overcome unique challenges as a team to help those in need. I expect a lot from my students and, in return, our team gives them everything we can to make them successful. Ever wondered what life is like for students at Unitek EMT? If you’ve found yourself searching for the phrase “EMT training bay area,” we’d like to give you an inside look at our EMT program. Let’s start with visualizing the setting; our Fremont Campus is located in the heart of the San Francisco Bay Area. The city of Fremont is known for its coastal weather, mountainous views, and sunny skies, making it a hotspot for various outdoor activities. Normal business hours tend to run from 8 am to 5 pm, though these times often vary for Emergency Medical Technician training. Specific class schedules can vary for other departments as well, which is why we’re also going to take a closer look at several of our continuing education courses. Before we do so, let’s switch back to the EMT program. It consists of two components: an online portion and a 14-Day Boot Camp. The online portion must be completed before graduation, and it includes about 50+ hours of EMT coursework. During the Boot Camp, students can expect to see about 50% hands on training and 50% conceptual learning. Not only will they have the opportunity to work with medical mannequins, but they will also utilize CPR devices, firefighter turnout gear, stocked EMS bags, and more. Of course, Unitek EMT encourages students to take designated breaks during the course schedule. Don’t let the topics you see here intimidate you, though—most things can seem daunting at first, but think of how rewarding it will feel once these topics become second nature to you. Additionally, our staff firmly believes in supporting and assisting students as much as possible. The Basic Life Support class is another continuing education course offered at Unitek EMT. Incredibly enough, all of the below lessons can be completed in as little as 4 hours. Our other continuing education courses can be found here. Have you been searching for accelerated EMT courses, or online EMT training? 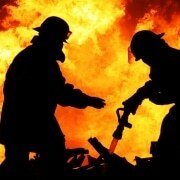 If you’re in the Bay Area, look no further than Unitek EMT! The benefits of Basic Life Support training are nothing short of incredible. When a person undergoes cardiac arrest, survival hinges on receiving immediate cardiopulmonary resuscitation (CPR) from a bystander. More often than not, the nearest person is an individual without any medical expertise, such as a spouse, a family member, or a coworker. According to the American Heart Association, about 90 percent of people who suffer out-of-hospital cardiac arrests do not survive.1 If CPR is performed—particularly in the first few minutes of cardiac arrest—a person’s chances of survival can double or even triple. Without a doubt, time is of the essence when it comes to cardiac arrest. You might be a parent, a spouse, or a sibling that would like to learn how to perform CPR. Perhaps you’re interested in a healthcare profession that requires CPR, and you’d like to add this life-saving skill to your resume. Either way, CPR BLS training will help prepare you for various scenarios. In fact, one day, these skills could mean the difference between life and death. At Unitek EMT, we offer a BLS course that is intended for healthcare professionals and other personnel that need to learn how to perform CPR as well as other cardiovascular life support skills. This CPR BLS course has been primarily designed for healthcare providers, as it’s an advanced and comprehensive type of CPR course that is the standard for most medical professions. In the United States, more than 350,000 out-of-hospital cardiac arrests occur on a yearly basis. Unfortunately, less than half of those people—about 46% of them—receive the life-saving measures they need before professional help arrives.1 Our BLS Course trains participants to quickly recognize various life-threatening emergencies, administer high-quality chest compressions, deliver appropriate ventilations, and provide early use of an automated external defibrillator (AED). The duration of the course is approximately 4-5 hours, and that includes both skills practice and skills testing. Additionally, all of our instructors are currently AHA BLS certified instructors. Those who successfully complete the course will receive an AHA BLS course completion card that is valid for two years from the date of completion. If you’re interested in Basic Life Support training, we hope you’ll consider our continuing education course at Unitek EMT. We also maintain several other continuing education courses, such as an EMT Refresher in California and Arizona. For more information, please don’t hesitate to contact us at 888-790-1458.